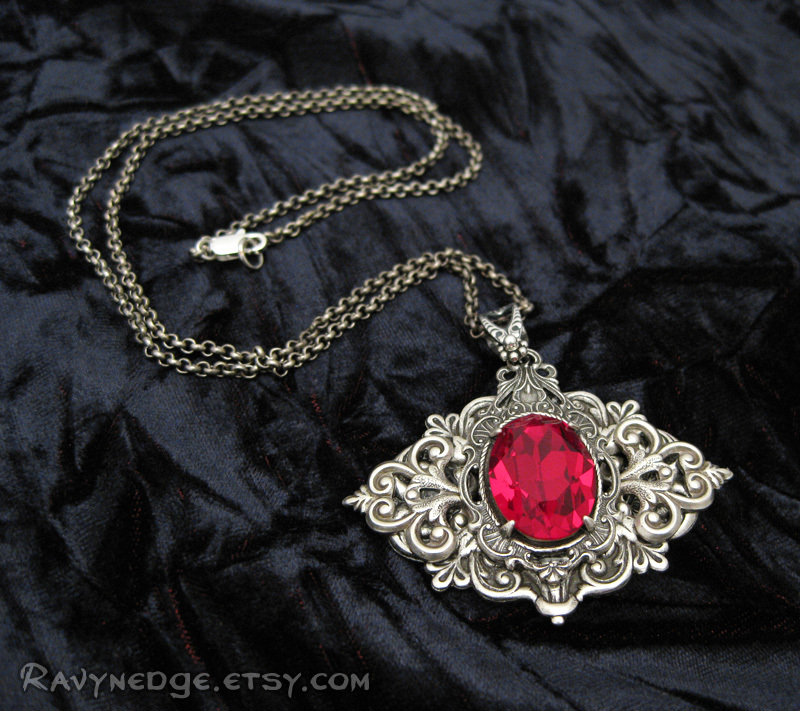 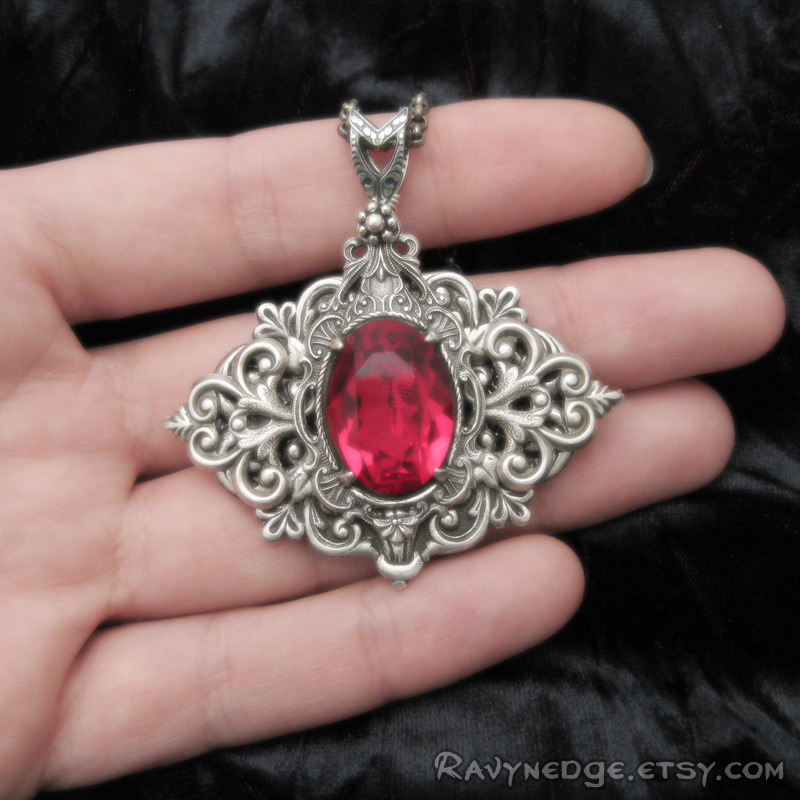 Crimson Court Necklace - Siam Red Swarovski Crystal and Silver Filigree Pendant by RavynEdge. 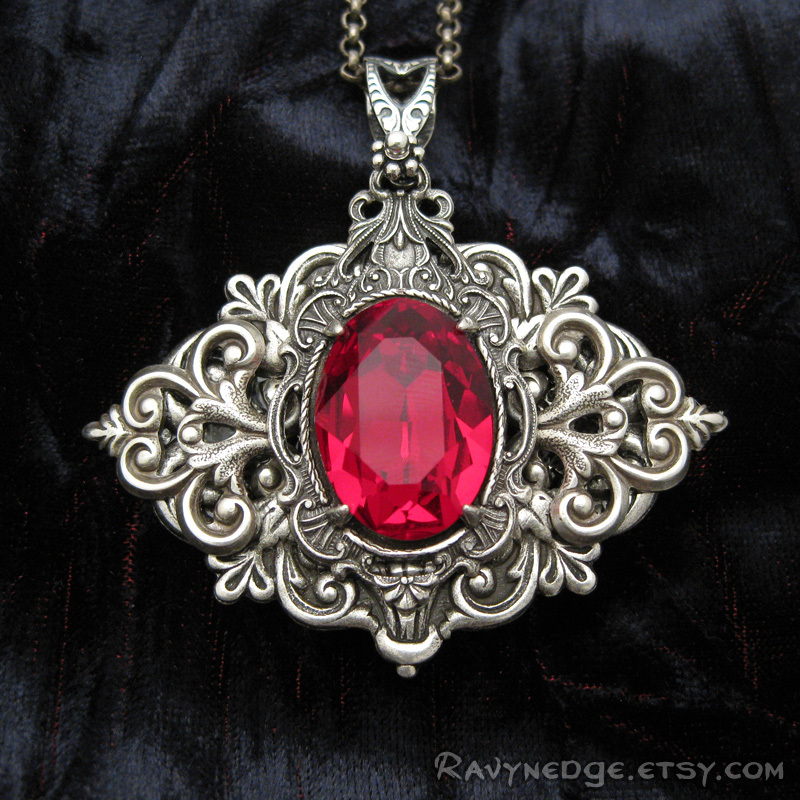 Crimson Court is and elegant pendant made from a stunning light siam colored Swarovski crystal set in fabulous layers of sterling silver plated brass filigree. 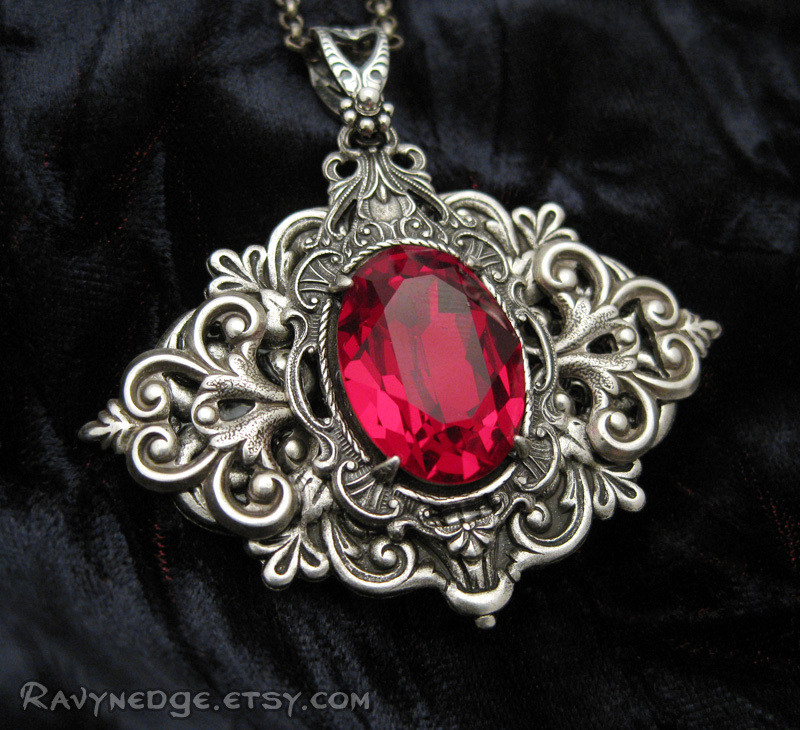 Including the bail, it measures 50x49mm (2x1.9in) and hangs from a sterling silver plated steel rolo chain. 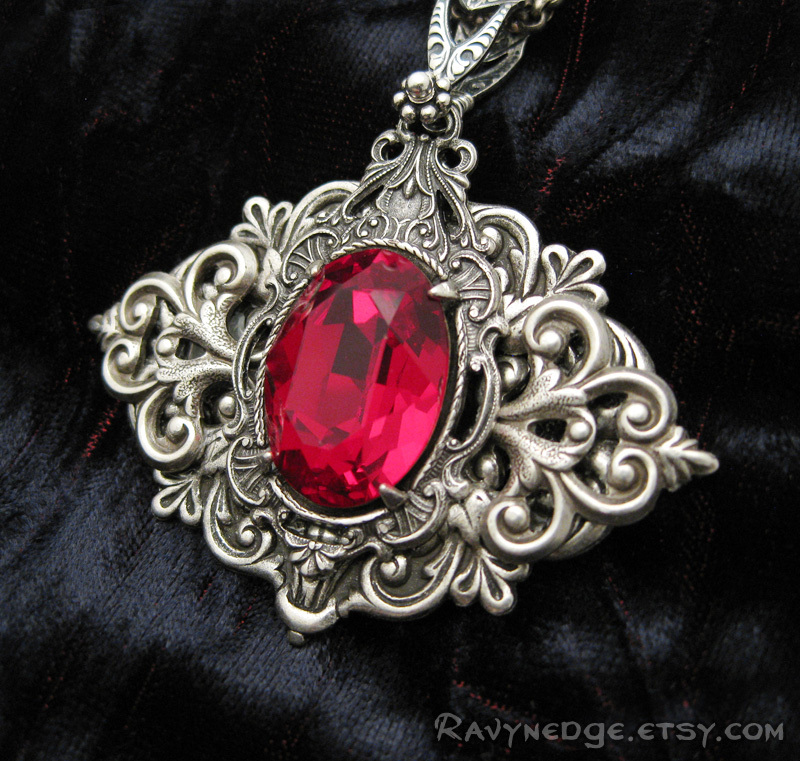 The chain length measures 20 inches (50.8cm) and closes with a lobster clasp.